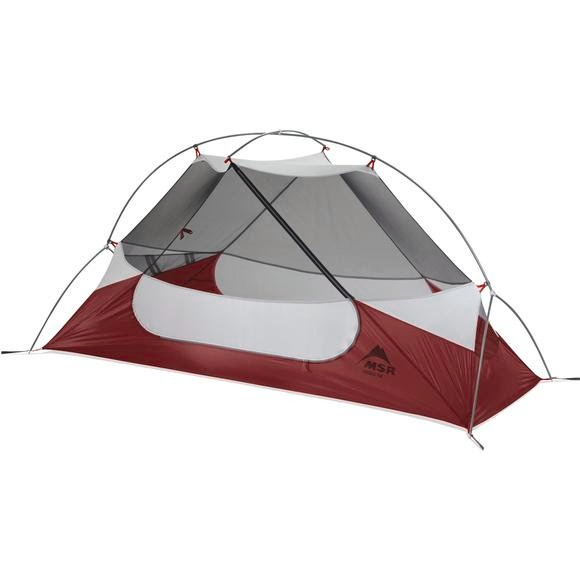 MSR's Hubba NX solo backpacking tent offers the most livable accommodations in a lightweight freestanding design. Engineered for 3-season camping, the light and compact tent won't slow you down, whether you're striking out early to earn solo views along a popular route, or finding your stride on a 10-day trek into the Alaskan wilderness. MSR &apos;s Hubba NX solo backpacking tent offers the most livable accommodations in a lightweight freestanding design. Engineered for 3-season camping, the light and compact tent won&apos;t slow you down, whether you&apos;re striking out early to earn solo views along a popular route, or finding your stride on a 10-day trek into the Alaskan wilderness. The tent&apos;s optimized, symmetrical geometry and non-tapered floor maximize space, because you didn&apos;t head out into the backcountry to feel constrained, while other precision-engineered features, from the StayDry™ door to the adaptable, cross-ventilating rainfly, make the tent so livable, you won&apos;t want to come home.